I stumbled upon an ad for one of my boards on CraigsList today, check it out. This board is at the short end of the hybrid spectrum, but retains the centered wide point, balanced outline and volume (paddle power) that hybrids are known for. 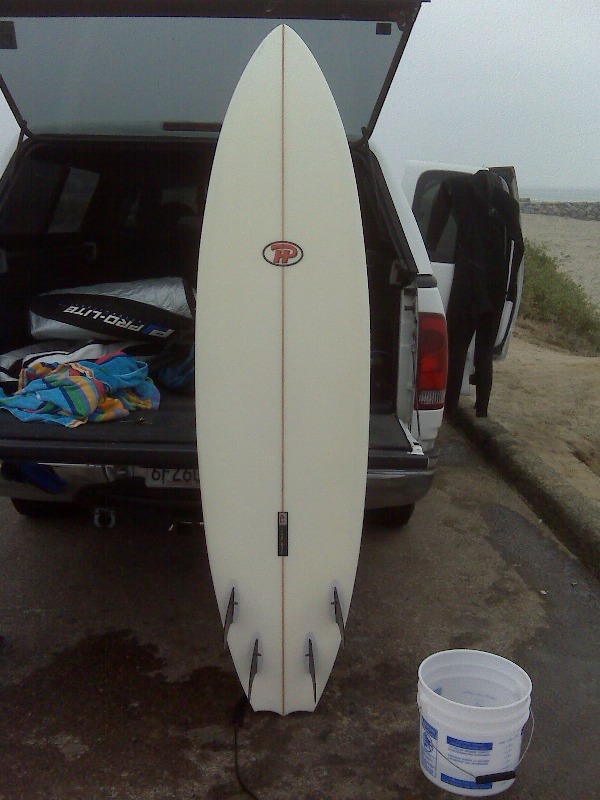 The rails are boxy; round in nose, softly tucked in the middle and down hard at the fins. Quads are known for their speed and smooth-handling characteristics, and this board is no exception. The finish is 4oz+4oz deck and 6oz bottom, clear, wet-sanded gloss coat. Glass work done by West Coast Glass Encinitas. 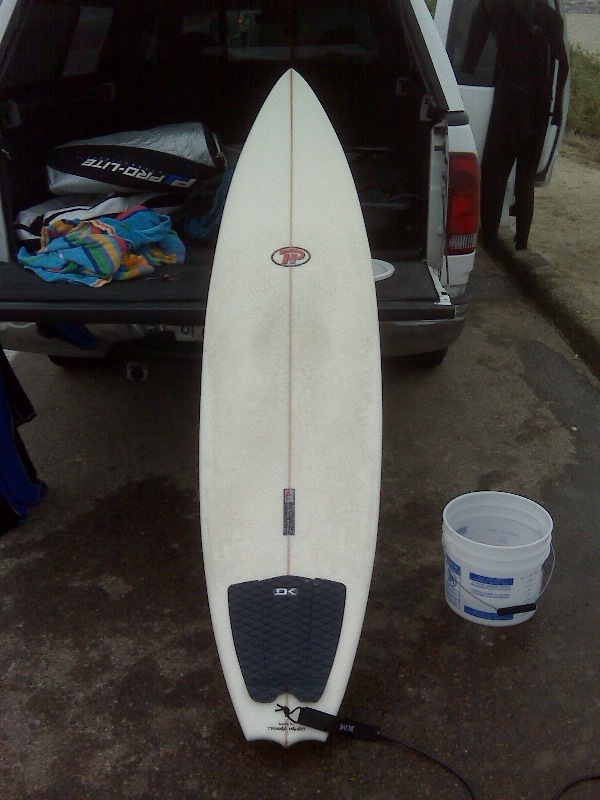 Price includes LokBox composite fins and tail-pad. Board is located in Bakersfield area, so if you’re looking for a used “big boy” quad, shoot this guy an email.